10/18/2016 Use Plastic Stackable School Chair from Avios in your school for a long-lasting seating option. With a durable steel frame and legs, this chair will endure even the toughest classroom conditions and rough treatment. The matching plastic Seating comes in various colors and can complement the décor of any room. A durable resin shell seat resists damage while easily wiping down after long periods of heavy use. Classroom Chairs with castor wheels provide comfortable and practical seating for all without breaking the budget. Avios's affordable Plastic Mobile Chair features four heavy-duty casters so you can access supplies without leaving your seat. Choose an unpadded or padded plastic seat in one of many stylish colors. Avios’s Lightweight Plastic Stack Chair has a designer look at an affordable price. The contoured polypropylene seat and back provide a comfortable place to sit. Comes with a contemporary silver metal chrome frame. Stack up to 15 chairs for quick and easy storage. 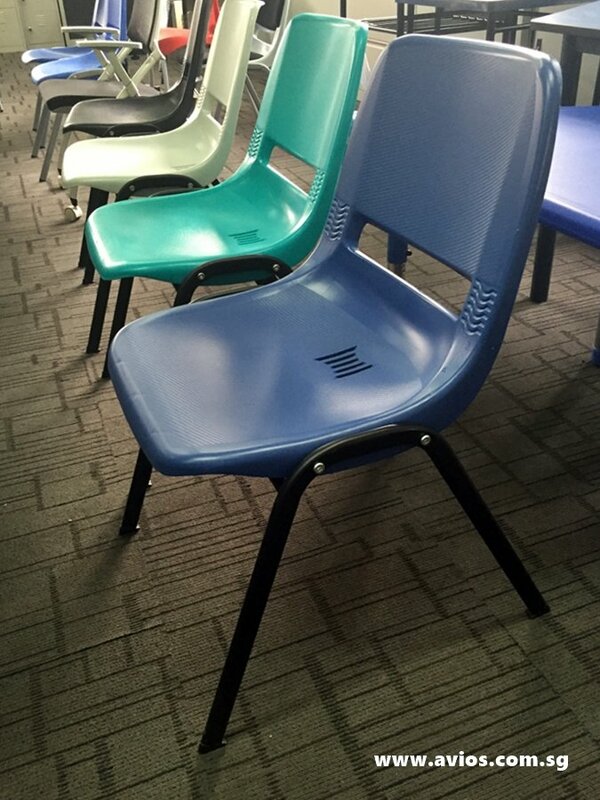 Avios's Model-A Polyproylene Stack Chair is a durable and affordable choice for lightweight, stackable classroom seating. Students stay comfortable on the one-piece, heavy-duty polyethylene shell seat, which features a sloped waterfall edge, a back vent for air circulation and an anti-static treatment to prevent annoying shocks. Steel welded frame has a crossover design for added strength and stability. Stack these school chairs up to 20 high or turn them upside down on a desktop for easy, space-saving storage. Available in sizes for any student from preschool to university. Choose from a selection of fun colors to match any classroom.